What should I do if my opposing party is not responding to my discovery requests? If the opposing party has not responded to your requests, follow up in writing to see when she expects to have responses. Give your opposing party reasonable time to respond after your request in writing. It is beneficial and expected by the Court that you participate in good faith discussions and grant an extension, if reasonable. Courts do not like to become involved in these disputes unless absolutely necessary. What should I do if I feel my opposing party’s discovery responses are insufficient? If you have a good faith basis for believing the response is insufficient, send a letter to the opposing party explaining why you believe the response was insufficient and what additional information you are requesting. Give the party reasonable time to respond to your request. Sometimes the opposing party may respond that she believes the information requested is objectionable or that she does not have the information. You will have to decide whether you believe the information is truly objectionable or necessary. Opposing party already knows the information she is asking me to provide, do I have to tell her? Yes, Md. Rule 2-402(a) states that “[i]t is not ground for objection that the information sought is already known to or otherwise obtainable by the party seeking discovery.” Thus, even if your opponent already knows the answer to a discovery request or can easily obtain the necessary information, you must still provide a response. I mailed my opponent paper copies of my interrogatories and document requests. Now, he wants me to e-mail him copies in Word. Do I have to do it? Yes, you should. The answer to the question is in a Committee Note to Rule 2-401, which encourages parties to give each other discovery materials in an electronic format when it is requested. Do I have to answer an interrogatory that calls upon me to answer legal questions? Yes, see Md. Rule 2-402(a). What should I do if I think my opponent is just trying to embarrass or harass me through her discovery requests? 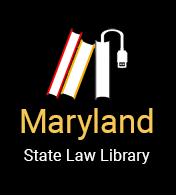 Seek a protective order from the court as explained in Md. Rule 2-403.